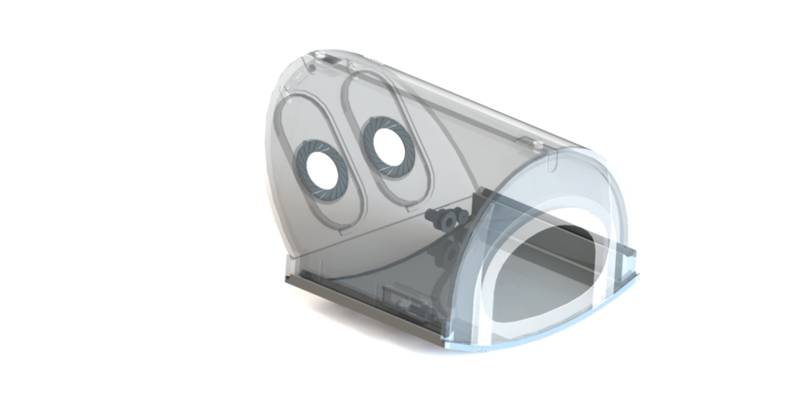 Graduation project on redesigning a lower body negative pressure-chamber. At LUMC (Leiden University Medical Centre) I did my graduation project on re-designing a lower body negative pressure-chamber. 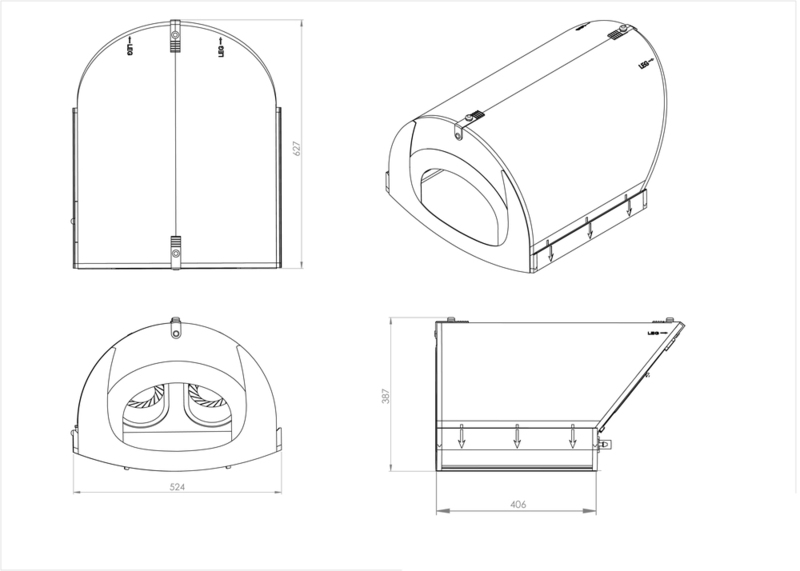 The assignment was to develop a MRI compatible, patient- and user friendly device to influence blood pressure in the upper body of an elderly person in a safe and controlled way. By using a lower body negative pressure chamber, blood pooling in the upper legs and lower abdomen can cause the blood pressure in the upper body to decrease. Rendered image of a 3D printer that can produce food products, 2012. 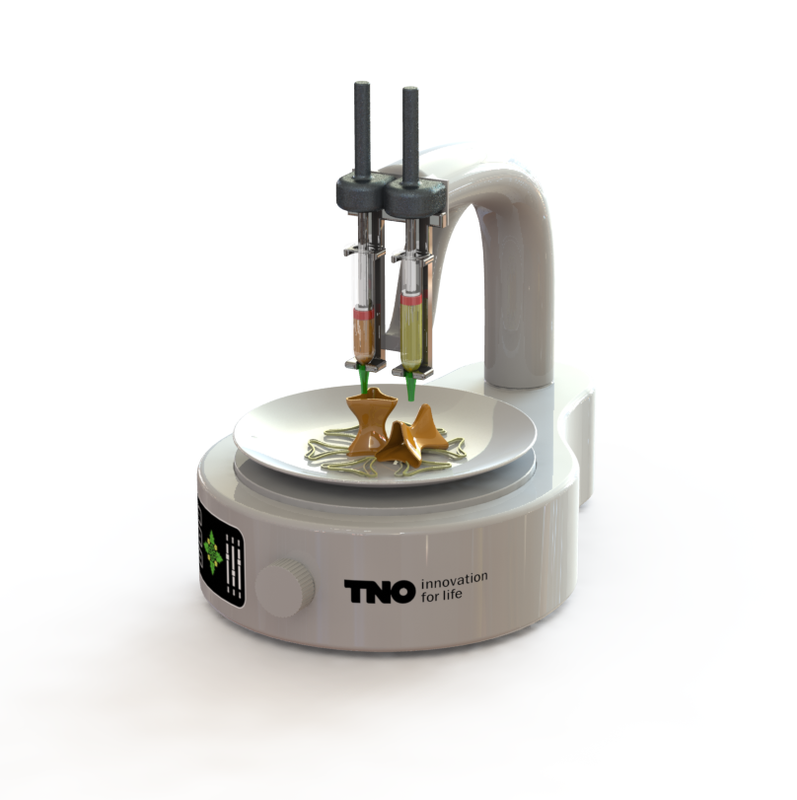 Designed for TNO during an internship at the department Equipment for additive manufacturing. The designed food printer is later 3D printed and now serves as a promotional model on fairs and conferences.